Music can give a movie a lot of mileage. Good music always attracts the attention of the public and the movie is automatically benefited. With so many talented music directors competing with each other, it’s never been so good for music lovers. 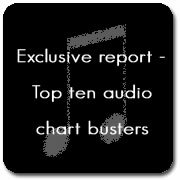 A look at chart busters that are making listeners tap their feet and sing along.